A robot that runs by ROS, a small size that can be run on a desktop. You can learn from the programing to the networking with this robot. You can take advantage of your Raspberry Pi (3b, 2b, B +). It supports a variety of programming languages, including Python, C++, and Java. The source code, including the device driver, is open and distributed on GitHub. 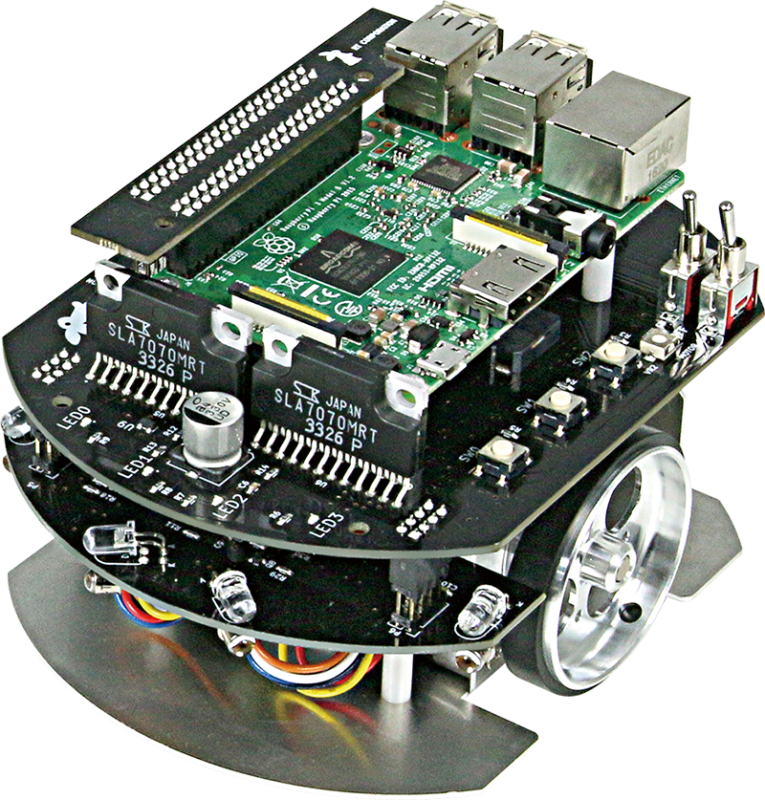 This is a wheel-type robot equipped with a minimal computer Raspberry Pi for programming learning. Raspberry Pi Mouse complies with the rules of the micro-mice and can compete in the tournament. In the micro-mouse competition, the robot will find the shortest path to the goal in the maze and compete for the shortest time. The algorithm of the Maze analysis is devised several types as the basis of artificial intelligence. It is the best robot to learn ROS. LiPo Battery Charger, AC Adapter, Conversion cable, and Raspberry Pi Board are not included and sold separately. ROS running in Ubuntu environment.